SUNRISE, FL – Lewis Long has been named Southeast Business Development Manager of CHAUVET Professional. Long, who will be based out of the company’s Sunrise, Florida global headquarters, will be representing the CHAUVET Professional and ILUMINARC lines of lighting, as well as ChamSys consoles. Prior to joining Chauvet, Long held various sales management positions at Martin HARMAN lighting and its predecessor companies. He joins CHAUVET Professional most recently from GLP, where he has been contributing in the role as Sales Manager for the Eastern US. 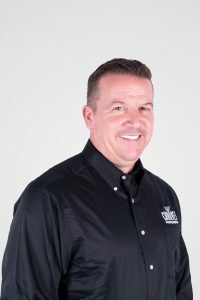 During his career, he has built a stellar reputation for his product knowledge, industry involvement and commitment to customer service.